The track of the Formula 1 Grand Prix from the 1984 season. It was the only one gp in Dallas. Track, aiw and cam is ready. Now I work on some textures and all the objects, buildings around the track. 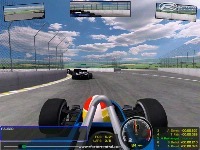 Any word of if this track will be completed or at least released as a beta, it looks great. glad to see you're back!!! Since I bust my balls for a year figuring out how to do this track with as much details as i could at the time (as it was my first track i recall i left some things out...). But i know the race by heart, What corner number are you talking about? There's a heck of a lot of left 90° corners on that track...!! and on what side of the track? 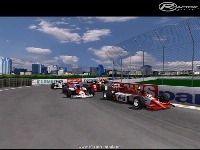 Go also on sketchup you can get some pretty damn good buildings for the track that were there at the time. 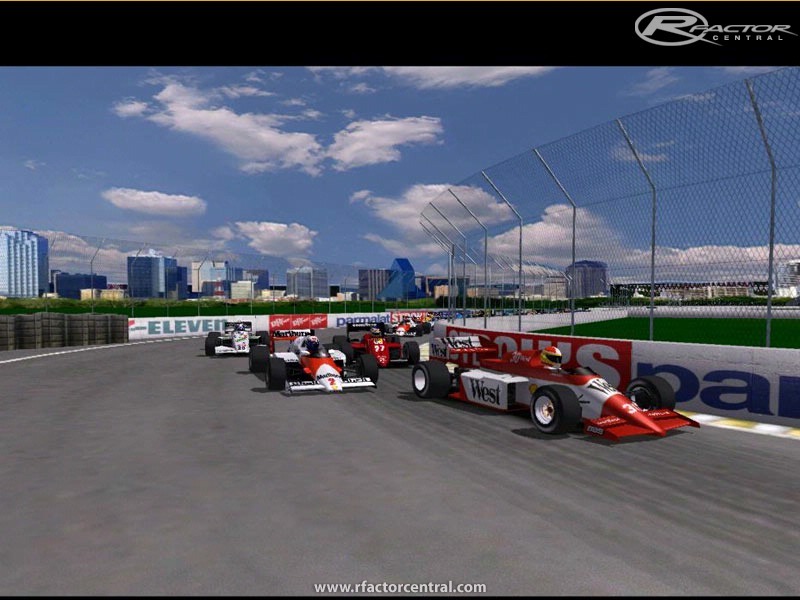 Also, I allow you to use the buildings I made myself that you can find in the F1c dallas track. Thank you your reply. I have the race but the quality is not enough good to see the buildings around the track. What I would like to ask if somebody has got a sunny afternoon there, to make some good pictures about the building, and I can make the textures. One question. In the south far corner ( where they turn in a 90 left corner ) there was a house ( may be brick covered ) and it is notthere now. Does anybody know about it? Thank you again all help. I may be able to help. These days I live about 35 miles north of Fair Park. Went there to the Texas Sate Fair a few months ago. Not sure where the track was though, I'll need to research that. Dallas GP 1984. Includes Chris Ekonomaki's adjournment to the porta-potti, and the ending with Mansel trying to push his Lotus across the line. I'll see if I can find anyone with a VCR so I can get a few laps. You should still have my email. 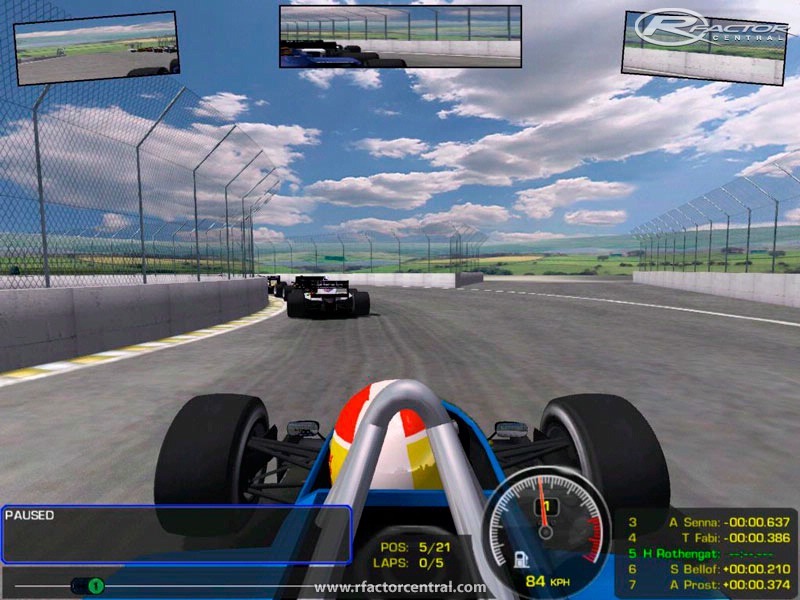 If not sign up at rFactor-League. Thisweekend I have built the track again from the 0. I hope it is worthy. Can somebody help me with good pictures about the houses around the track? Thank you. I know I haven't written for almost a year, I have worked on other projects. I still have the idea to finish this track. I hope when it will be ready it will be good enough. I was at Fair Park last Saturday Night, so I downloaded the file...haven't tried it yet. Any news or is this dead before arrival. Even I still work on the 1985 mod, and I don't know when will I get to the end of the work, I don't give up to make this track. I like it, and I like it more and more as I make it. -=OcM=- Phat4b, I am very happy, thet there is somebody who is so near to the Fair Park.